We understand that you’re busy and that life can be unpredictable. 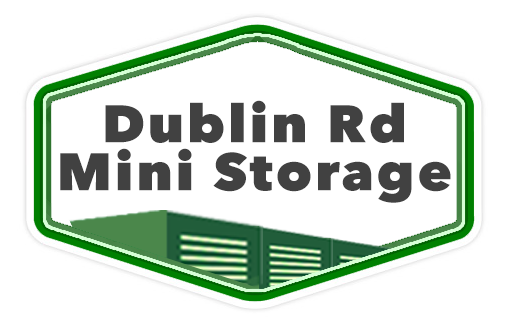 That’s why here at Dublin Road Mini Storage is here for you when you need us. Can’t take your things with you on a work trip or long vacation. We’ll be happy to watch your stuff for as long as you need. Give us a call and find out how our convenient storage units can help you. Large or small we can store it all. No matter where life takes you, whether it’s school or work, we can keep your items under lock and key, safe from the elements. We‘ll give you the peace of mind you’re looking for when storing your items. Contact us for availability and storage options. We have several types of storage units that can work for you no matter your self-storage needs. Come on by and we’ll be happy to give you a tour of our facility. Sometimes you need more than four walls and roof when storing items that are valuable to you. You need to keep them out of the elements behind a secure location. We can do that for you anytime the necessity should arise. Short term or long term, we are happy to meet your storage needs. When you have questions about storage units, give us a call or drive on by and we’ll be happy to answer questions or show you around our facility. Locally owned and operated, we know how to keep your stuff safe. Moving out of your dorm room and back home for the summer? Store your stuff with us. We will keep it secure while you go back home. Then when you return, ready for the new school year your stuff will be ready too! Save money by not having to buy another bed or other furniture because you can just pull it out of storage when your new dorm room or apartment is ready for you! Let us know what your storage needs are and we will be happy to answer any questions you may have. Your unit price will be guaranteed for 1 year so you know how much you will be saving by storing your items rather than selling and repurchasing them every time you need to leave and come back to Columbus, OH.